While asbestos might seem like a thing of the past, it is still very much an active building material used in the US. In fact, it might be present in your building. Asbestos is not considered harmful unless the fibers are disturbed. Those fibers can be inhaled into the body, where they can stay for years and cause very serious asbestos-related diseases. 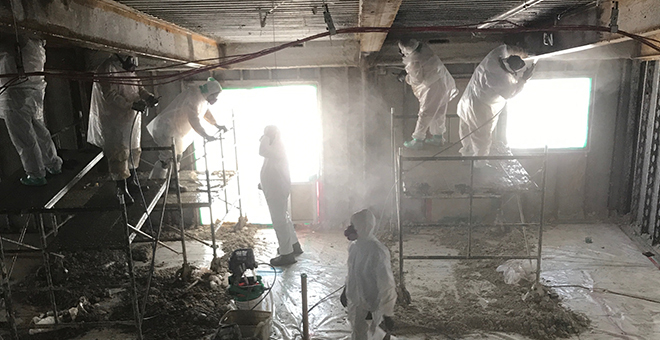 Renovation and demolition are the two most common ways that asbestos fibers are released into the air, though it’s not the only way asbestos-containing material can be disturbed. 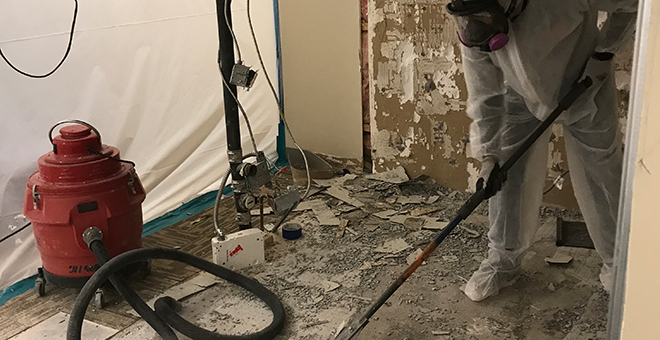 If you’re planning a renovation or demolition, one of the first things you should plan is a test to confirm whether or not asbestos is present in the location where you’re working. Here is where RestorationHQ can help! We will take asbestos samples from suspect materials to a third party lab for testing before you begin demolition/construction. If the samples test positive for asbestos, we will create a scope of work, estimate and work schedule for asbestos abatement. 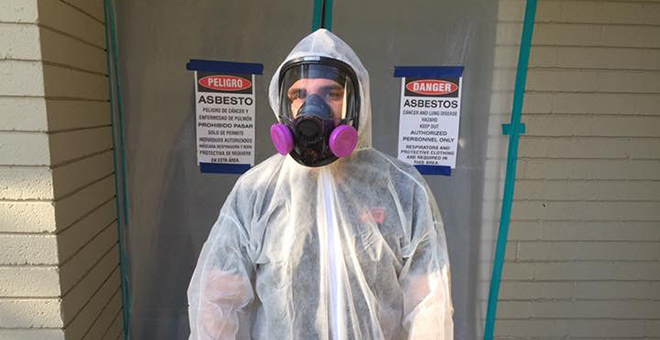 Once the plan is approved, our team of certified asbestos abatement specialists will get to work on your property. Asbestos is abated through the use of engineering controls and HEPA air filtration devices. RestorationHQ takes pride in following all applicable industry standards including but not limited to EPA, OSHA, AHERA and NESHAP. 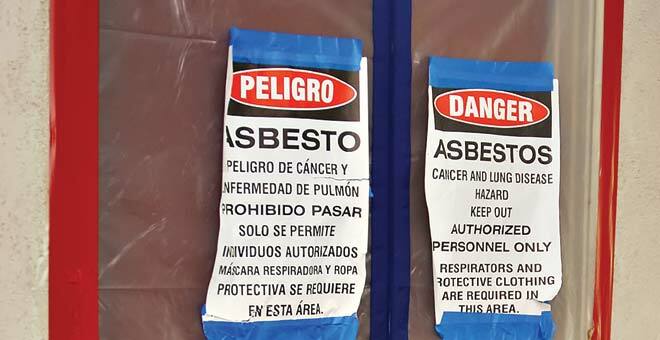 How are you sure that the asbestos is removed and my property and people are safe? 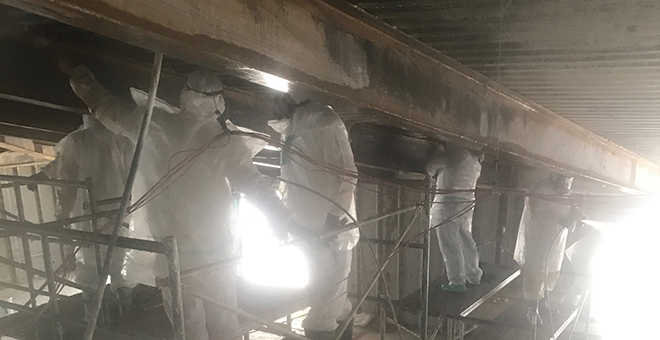 When the abatement is done, we still have one more very important step that we recommend: testing the work areas to make sure that all of the asbestos has been safely removed. Clearance testing is the only way to be certain that your property is safe for occupancy. We utilize a third party certified independent hygienist (CIH) firm to obtain samples and submit them to a third-party lab for testing. When the results come back clean, you can then safely and confidently occupy your property. Learn more about asbestos abatement and Asbestos NESHAP Regulations right here. Asbestos can be serious if not properly abated, and we are here to help mitigate the situation. 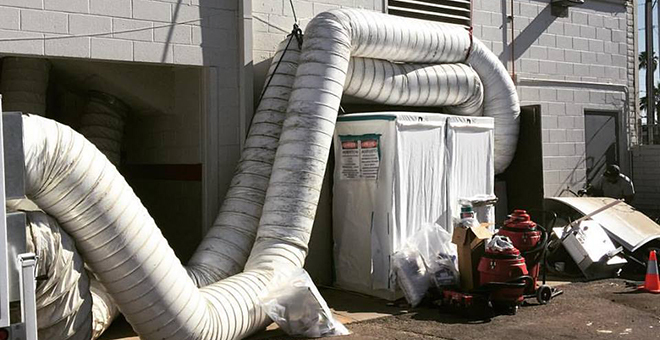 Please call RestorationHQ at 480-256-1453 to test for the potentially harmful presence of asbestos.